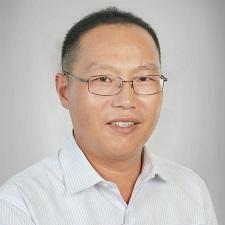 Mr. Guo has over 15 years of experience in construction management and engineering. He has worked as the on-site Construction Manager on 11 projects totaling over 3.2 million square meters. Mr. Guo previously worked for Qinfen Construction Engineering Management Company where he was responsible for managing all aspects of a 1.0 million square meter residential project by China Vanke Co. Ltd. in Zhangzhou City, Fujian. Before his time at Qinfen, Mr. Guo worked for companies such as Longcheng Real Estate Development Company and Beijing Pake International Engineering Consulting Company as an on-site Construction Manager for residential and mixed-use projects in Wuhan, Beijing, Datong City, and Dongguan City. Mr. Guo is a Certified Construction Engineer and a Certified Construction Supervisor.